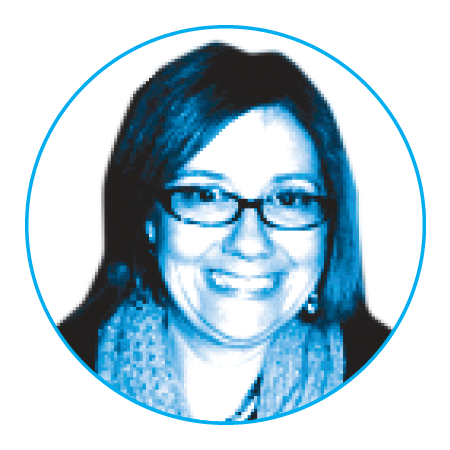 Lee is an assistant professor In the Department of Psychology in the College of Arts and Sciences and a child clinical psychologist specializing in developmental neuropsychology. The thickness of the brain’s cerebral cortex could be a key to unlocking answers about intellectual development in youth with Down Syndrome. It could also provide new insights to why individuals with this genetic neurodevelopmental disorder are more susceptible to early-onset Alzheimer’s disease than the general population. Brain-imaging research published in the journal Cerebral Cortex and led by Drexel psychologist Nancy Raitano Lee shows that the cortex is thicker on average in youth with Down Syndrome than in typically developing youth, even though the overall volume of the cortex is lower in those with Down Syndrome. The cerebral cortex is the outer layer of brain tissue, a folded region about 2–4 millimeters thick, that is involved in many important aspects of brain function including sensory and cognitive processes. Lee conducted the research with colleagues at the National Institute of Mental Health who perform structural magnetic resonance imaging (MRI) of the brains of children and youth to better understand aspects of brain development. They compared MRI measurements from 31 youth with Down Syndrome and 45 typically developing peers. These scans show reductions in cortical surface area and increases in cortical thickness in brains of youth with Down Syndrome relative to typical controls. Panel (A) displays surface area findings; panel (B) displays cortical thickness findings. 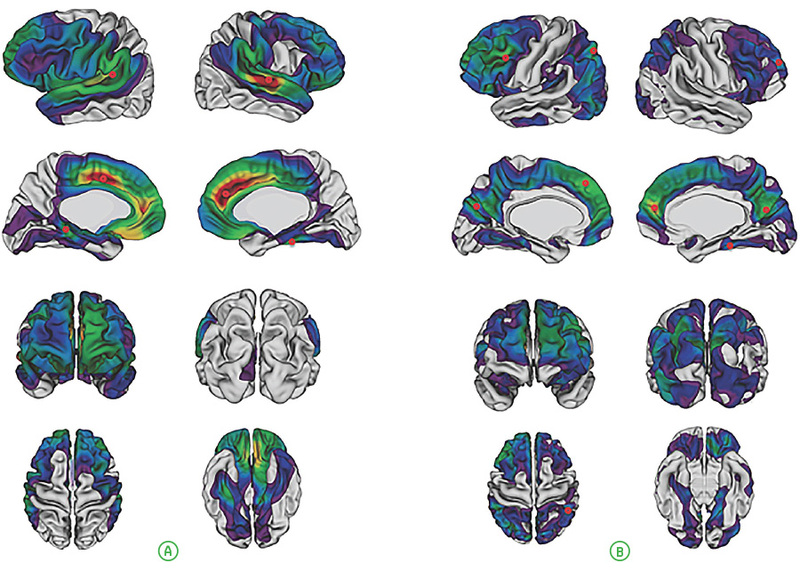 The peak regions in which cortical surface area and thickness were most different from control are marked with small red circles. The cause of the increased cortical thickness in Down Syndrome is still uncertain, but one possibility is that the brain in Down Syndrome doesn’t prune excess neural connections as effectively as in typical development, a process believed to occur during childhood and young adulthood as part of reaching cognitive maturity. Some of the brain regions with increased cortical thickness were nodes in the Default Mode Network (DMN), the part of the brain that is active when a person is at rest. Because deterioration in the DMN has been associated with Alzheimer’s disease, Lee said the difference found between Down Syndrome and typical development in youth could turn out to be an early indicator of susceptibility to Alzheimer’s later in life. Lee hopes that her finding will spur further research on animal models to more clearly draw the connection of how genetic abnormalities cause brain abnormalities — knowledge that could inform potential biomedical treatment approaches for intellectual disability.